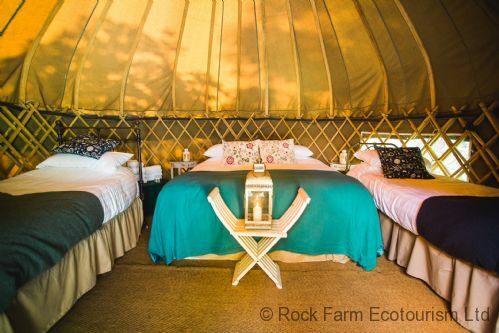 Rock Farm Slane Glamping is open year round with the main season running from Easter to the end of the October (Halloween week). 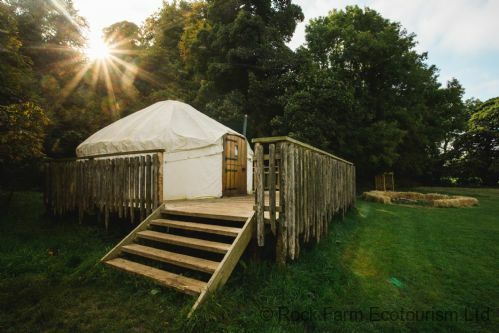 From November to April we have 2 warm, cosy shepherd’s huts (Apple and Pine) and a straw-bale cabin (Swallow’s Nest) available, which sleep 2 people each or up to 6 people sharing. 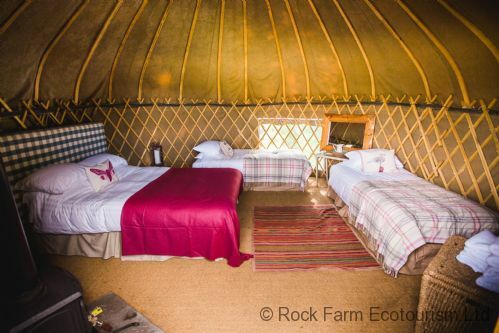 From April to October we have 5 yurts, 2 shepherd huts and Swallow’s Nest sleeping up to 30 people sharing. 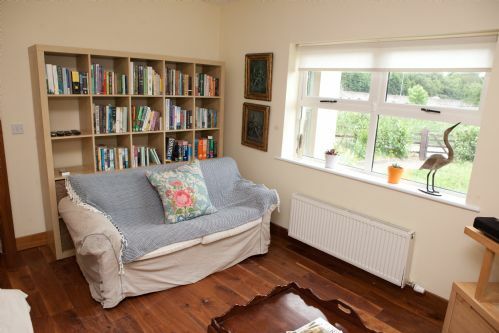 We also have the Lime House with 6 en-suite rooms for rent during the week and whole house rentals available at any time from (min) 12 to (max) 22 people . 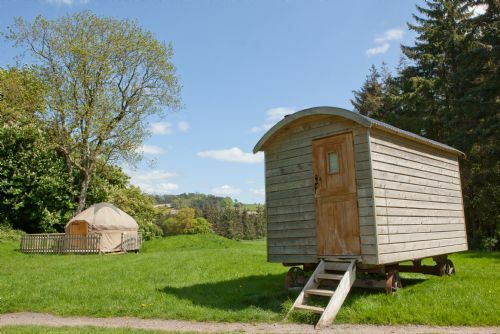 Apple is the larger of our adorable 2-man Shepherd Huts. This is a traditional wooden caravan on wheels clad with green corrugate, as would have been used by shepherds of old. 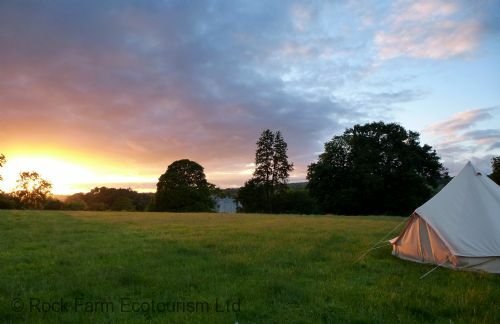 During the winter season (Nov-March) and on some allocated weekends this accommodation is offered on a room only basis with limited access to facilities. Please ask a member of the booking team for details if booking during these dates. 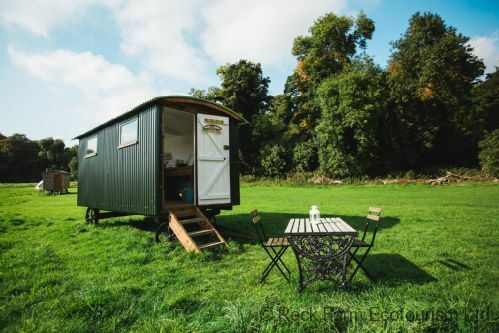 Pine is our cosy wooden-clad 2-man Shepherd’s Hut available to book all year round. This is a traditional wooden caravan on wheels clad, as would have been used by shepherds of old. Swallow's Nest is a unique 2-man strawbale cabin built out of barley straw from the farm, local clay and lime plaster finished in natural clay paints with a sedum roof. 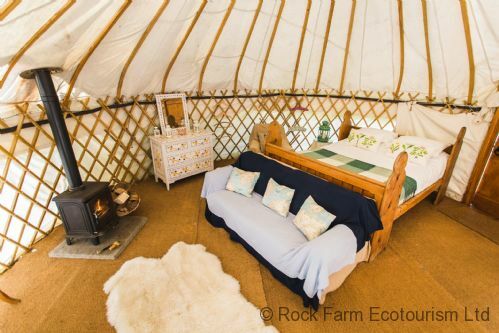 This bright and inviting cabin sleeps 2 people and a baby cot and has cosy furnishings including a large double bed with uninterrupted views across farmland and woods beyond. 5 bedroom house situated beside the River Boyne and Ramparts Walk close to Slane Bridge and 5 minutes walk from the village of Slane. 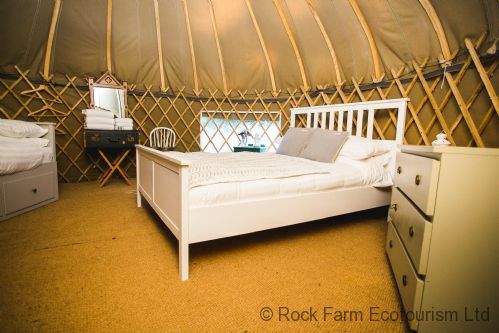 The bedroom has 3 ensuites and 5 bathrooms in total with a large kitchen dining area and lounge as well as a private garden and off-street parking.